Frugalwoods is my manifesto. I’ve never felt so passionately about a project nor poured so much energy into any single venture. As 2014 comes to a close, I want to share how grateful I am to all of you for reading along as Mr. FW and I navigate our journey to financial independence. Thank you for being here with us! 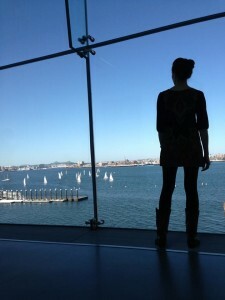 Me thinking deep thoughts. Actually, I’m just staring out a window. I published my first post here on April 9th and felt a rush of excitement, relief, and abject fear. I was terrified that I might’ve left out some crucial frugal detail, but also relieved because finally, I could say what I really think about consumer culture and the danger of spending above one’s means. Frugalwoods is an incredible outlet for my bizarre ramblings musings on life and frugality. 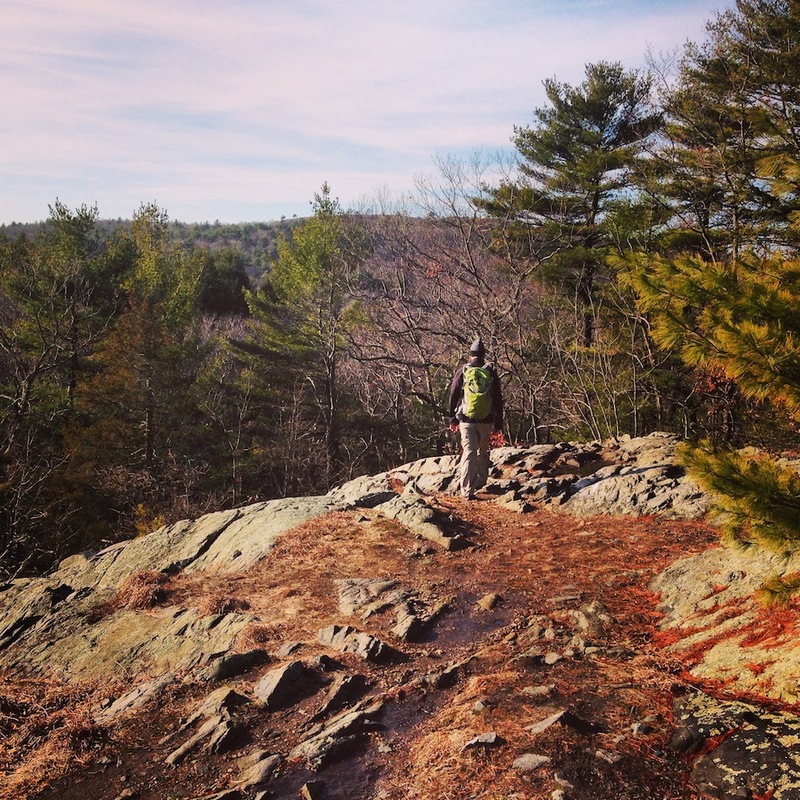 And since the blog began at the same time as the crystallization of our decision to move to a homestead in the woods, it has become my journal. I’d say this is a step up in the world considering my last journal was a Lisa Frank unicorns-n-hearts diary with a butterfly lock (’90s girls, you know what I’m talking about because you probably had one too, right next to your Delia’s catalogue and glitter lip gloss). People sometimes ask if I have trouble coming up with ideas to write about or if I’ll ever run out of topics to cover and, perhaps it’s my naivete, but my answer is always no. How can I be so cavalierly confident? Because Frugalwoods is simply an honest reflection of the lives that Mr. FW and I lead. I don’t make stuff up. Everything you read is a genuine iteration of who we are as people, what we eat for breakfast, what our dreams are, and why frugality isn’t a struggle, but rather a freedom, for us. I don’t share every intimate detail with you people (consider yourselves fortunate on that front, no one needs to know how many times Frugal Hound has barfed in the middle of the night and woken us both up…), but I give you the true low down on our lives. In 2015, expect lots of frugal philosophy and tips, home improvement how to’s, copious amounts of Frugal Hound, recipes, advice on boosting your savings and, oh yeah, we’ll talk about the whole homestead-hunting process too. Folks have asked why I don’t cover certain topics on Frugalwoods. Well, I don’t address anything that we haven’t experienced. For example, since Mr. FW and I haven’t ever had any debt other than our current mortgage, I can’t write a thoughtful, helpful post on debt repayment. I can offer tips on how we keep our living expenses super low, but I’m not going to preach a debt repayment philosophy because I don’t know what it feels like to be in debt. 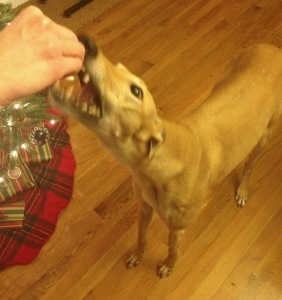 Frugal Hound eating chicken on Christmas. Sort of unrelated but totally hilarious. Mr. Frugalwoods and I are lucky, lucky people and we know it. We’ve been fortunate to have good jobs, to save our money together, and to not have any traumatic or expensive emergencies in our lives. Neither of us is from a wealthy family and, had we taken a few false steps in how we obtained our educations, how we bought our house, or any number of other seemingly insignificant (yet life-altering) decisions, we could be deeply in debt right now and struggling. I won’t presume to know how I’d handle debt, because honestly, I don’t know. Until I’m actually in a situation, I don’t know how I’ll deal with it. Similarly, I don’t write about frugal kid-rearing because we don’t have kids yet. I have no clue how to raise children and no idea how our lives will change once we do have mini-Frugalwoods (based on my research: A LOT). But here again, I’m not going to spout advice on something I know nothing about. I am thankful to Shannon from Financially Blonde, who is a parent, for writing a fantastic guest post earlier this year on raising frugal kids. I’ve written 117 posts since that fated first publication in early April. To be more precise, Mr. Frugalwoods wrote 14 of these and Frugal Hound would like to clarify, for the record, that she is personally responsible for a whopping 13 posts (let’s just say there’s been a lot of sniffing going on). In reflecting on what Frugalwoods is all about, I realized that a number of our rather foundational posts were published back in the day when only our parents were reading the blog (hi, mom, dad). Uber Frugal Month: Challenge Yourself. This is that very first post and, aptly, it’s all about how to structure a supremely frugal existence. If you’ve been looking for a 2015 challenge or just want to ramp up your frugality, check it out. It’s not for the faint of heart and you’ll see that our reputation for extreme frugality is well deserved. Frugality Is Not Mainstream. My usage of the moniker frugal weirdo originates in this post. If you haven’t read it yet, you don’t know Frugalwoods. This post essentially sums up my views on frugality and why I prefer this life to the predominant consumer carousel. Do You Really Need That? Don’t Be Owned By Your Stuff! Fairly self-explanatory, this is a tour through how we make purchasing decisions and why you should buy less than you think. Hidden Perks of Frugality. Other than, you know, saving a lot a money and never worrying about debt, frugality has quite a few side benefits. Behind the Scenes of a Happy Frugal Marriage. All about how Mr. Frugalwoods and I love our frugal life and each other. Why I’m Not Buying Any Clothes in 2014. About so much more than just the expense of clothes–issues of weight, body image, and self-control are all wrapped up in my writing on this one. And hey, I adhered to my challenge and didn’t buy a scrap of clothing (other than the one $0.50 garage sale belt I already fessed up to). 10 Shockingly Expensive Things We Own. Prepare to be shocked. 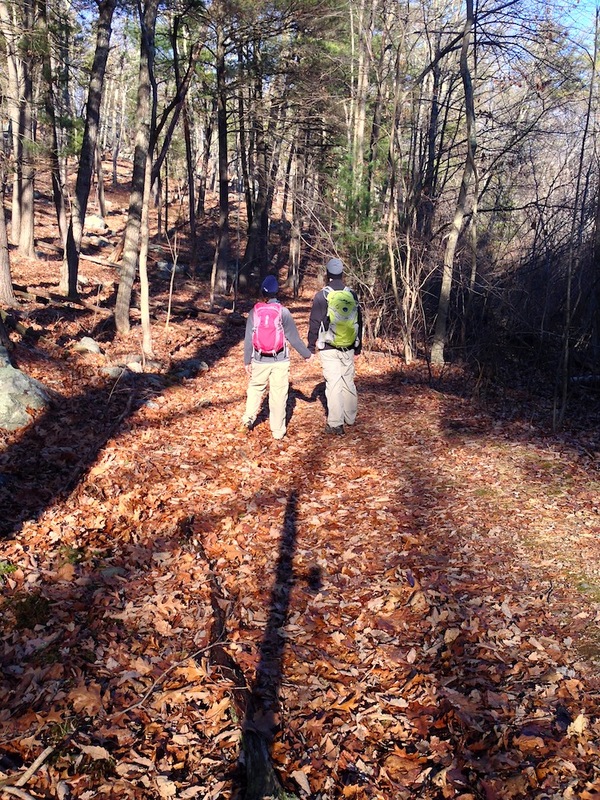 The Frugal Homestead Series Part 1: Why The Woods? Considering I didn’t write this post until two weeks ago, I’d say it was a tad overdue. After I wrote it Mr. FW and I thought, huh, that probably would’ve made sense as our very first post. But, then nobody would’ve read it. At any rate, this is a thorough encapsulation of the reason for our frugality and, the first in a series on the topic. Thank you for reading! I hope you’ll join us on the trail in 2015! 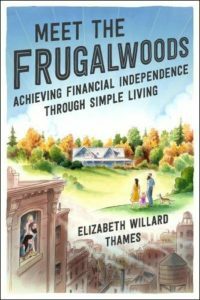 I hope that Frugalwoods might help a few folks realize that they too can transform the way they spend money, and the way they view their lives. Money is life, whether we like it or not, and you can use it wisely or you can use it foolishly. Unsurprisingly, how you use money will dictate how you live your life. Set your priorities first and your money will follow. What will you do in 2015? What would you enjoy reading on Frugalwoods in 2015? I am looking forward to seeing where your journey takes you in 2015 🙂 I think 2015 for us will be another great year, as we continue down the path to a simpler lifestyle and continue with our long term aims. Happy New Year to you! Glad to hear that 2014 was a good year for you :). Thank you so much for reading Frugalwoods–I’ve enjoyed following along with your journey too! Delia’s and Lisa Frank – you’re speaking my language! 😉 Absolutely love your blog, keep it up – I really look forward to the new post e-mails!! Haha, I hoped somebody would know what I was talking about ;). Thank you so much for reading and for your kind words–I really appreciate it. Glad to hear you signed up for the email too–yay! Hello Frudalwoods! What I like about your site is that it’s really personal and genuine. Every article of yours is like I can relate to it easily and is very informative as well as entertaining. I also like every dog or cat you introduce. I must also say I like the clothes of your dog. I think I like more of these next year! Happy Holidays! Thanks so much! 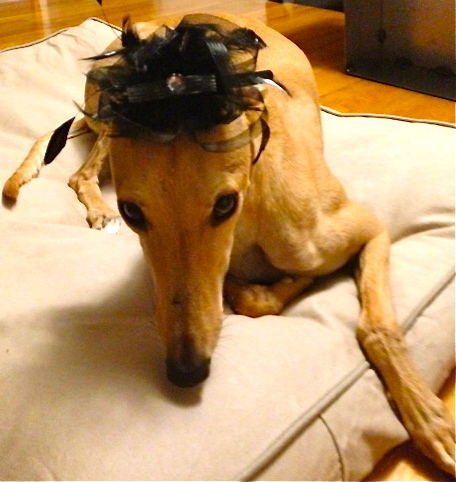 We like the Frugal Hound outfits too :). Never fear, there’ll be more in 2015! Did you hear that Delia’s went out of business?! I enjoy all things Frugalwoods! Happy 2015! Great job on making it through 2014! People always ask me if I have trouble finding things to write about too. The fact is, there are plenty of things to write about! Everyday life is inspiration and almost everything relates back to money in some way. I love what a confident (and funny) blog you have. I’m afraid I’ve delved into topics that aren’t something I know much about – though rarely. I also love the encouragement and support you are able to offer your readers, because you do kinda have the frugal thing figured out. Here’s to an even better year next year!! I have truly enjoyed following your blog and can’t wait to read on in 2015. Thanks for sharing and keep up the great work! Thank you so much–that makes me so happy to hear! I look forward to reading more about your journey in 2015 too! Congrats on a great 2014! I always enjoy reading blogs just like yours, that just tell a story about everyday life. Thanks so much and, right back at ya! Congratulations on making it through your first year of blogging! Plus, I read earlier that you guys actually have enough money to quit working at settle down? Did I read that right? That’s awesome! Thank you! We are in a position where we could quit working now, but, it would be a bit strained. We’ll be better off earning for at least another year or so–we like to have a decent buffer at all times :). I get asked the same question all the time about running out of things to write about and the funny thing is (well funny on one level I guess 😉 ) is that my wife and I run a writing business so I better not run out of things to write about, lol. Seriously though, great work on making it through 2014 and could not agree more with your crusade. Far too many fall for the trap of feeling like you need to spend more to enjoy life more and it’s patently not true. Haha–I guess you better not run out of content ;)! So true, life just does not need to be expensive in order to be good. Really appreciate you reading, thank you! What a great blogging year. I love reading pf blogs with personal stories and so look forward to the next 12 months. We finally ditched the mortgage in 2014 and so investing beckons…yikes! This blog for me is truly a breath of fresh air and I enjoy reading every post. Keep up the amazing work here and wishing the FW family a wonderful 2015! Oh wow, thank you so much Kassandra! That is really an honor to hear! Happiest of new years to you and DH! Congrats on a great 2014. Maybe it’s because of the recent downtime, but I think 2015 will be one of the best years ever and I predict the same for FW, best of Frugaliness in the new year. I just wanted to say I LOVE your website. We are debt free including our mortgage. I really like to read personal finance blogs and yours is one of my favorites. We live in a lower income state and if we were to live on 35% of our income, we would be living on about $800 a month (after deductions and tithe). We are basically a one income family. However, those deductions also include 401K and stock deductions in the company my husband works for, so I’m not really sure how it all figures out. My husband works for a large retailer and has turned down big promotions because we don’t want to move. I love to save money. 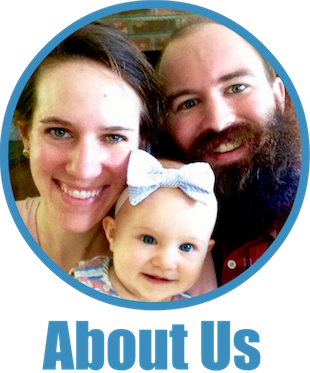 Your blog inspires me – also the minimalist side of it. I have been getting rid of stuff and it feels great. May you have a blessed 2015! Plus, re: “cookie problem” – you should try larger cookies – HA! Larger cookies! Yes! The solution to all of my problems :). Thank you so much for reading, I really appreciate it. 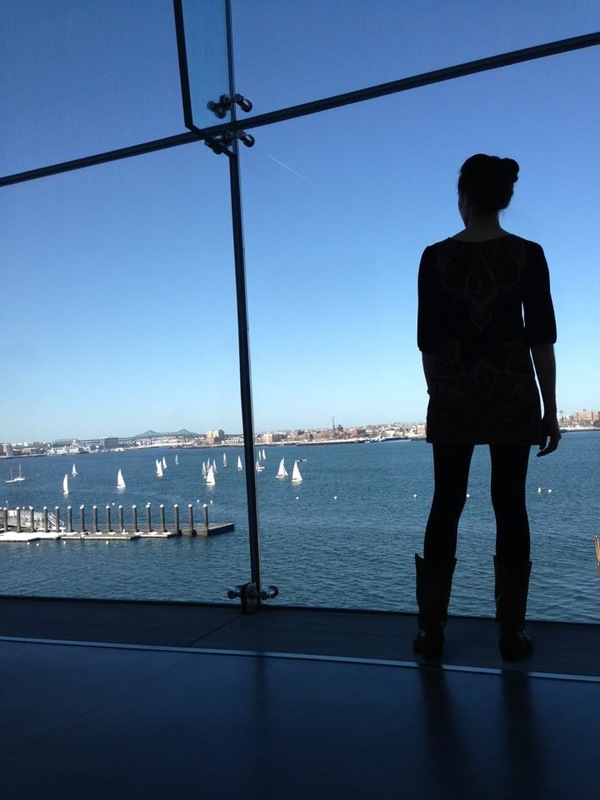 And, you’re right–writing truly helps me crystallize plans and examine my own convictions in a new light. Happy New Year to you! It’s awesome how well your blog has done in less than a year! Your writing style is amazing and draws people in! I have hit a writer’s block and don’t know what to write about. It seems I have too much to write about at times and blank out at other times. I am looking forward to following your journey of frugal weirdness! Thank you very much! I get writer’s block all the time too–just because I know what I want to write about doesn’t mean I can always get it to come out when I want it to :). I think you’ve got a great blog going on and I’m sure you’ll hit a new stride soon. Happy new year to you! lol, like the fascinator on Frugal Hound. Too cute. Here’s to more frugality! Thanks! I had a hard time balancing it on her head because it’s actually a headband for a human (me), but that angle made it look pretty good :). Thank you so much for reading! I would just enjoy reading more about the Frugalwoods adventures to homesteading in 2015. I am so thankful that we found each other in 2014 and I truly enjoy reading your blog and perspectives every week. I can’t wait to see what you accomplish next year! You’re so sweet, Shannon! I’m so thankful we found each other too! It’s just so rewarding to build these relationships through the online PF space :). Love reading your writing too and looking forward to reading along in 2015! I’ve definitely enjoyed reading your posts this year and I always appreciate your comments over at Y.A.M. I know sometimes our approaches don’t overlap (i.e. frugality on your part and increasing income/careers/etc. on my part) but I do enjoy reading a different perspective and I especially enjoy the pet posts haha. Thank you, DC! I appreciate that. I’m all for the two-pronged approach too of increasing income and frugality, but, I’m definitely more of a frugal gal :). I think your cats need to do a Frugal Hound Sniffs! Don’t change a thing! I love what you write about and how you write it. As I was reading this post I just kept thinking, “Ditto.” You get it and it’s a breath of fresh air to hear from someone who has the perfect balance of living richly. Just keep telling us what’s going on from day to day in how you live out your perspective. All I (and dare I say, “we”) ask. Awww, thank you! You’ve got that great balance going on too! I shall do my best to keep you posted on the day to day… Update: right now, Mr. FW and I are drinking tea and blogging ;). Frugal Hound is currently asleep and snoring softly. Ha. Perfect. My dog is currently whining like crazy because he found a dead rabbit in the neighbor’s yard and we won’t let him eat it. I think I’d take the snoring over the whining every day. Frugalwoods, I came across your blog a few months and love it! I look forward to each new update. A suggestion that I have for debt reduction, learned from my parents, is that all pay raises, net of taxes, went towards the mortgage. This strategy, with other frugal habits, helped me as a single mother of two to retire debt free at 53. I also saved for my children’s tuition, to help them to graduate debt free. Looking forward to more Frugalwoods postings and wish you all the best in 2015! Congrats on retiring debt-free at 53! That’s awesome! And, how fantastic that you saved for your kids’ tuition as well–that’s an incredible gift you’re giving them. Thank you so much for reading Frugalwoods, I really appreciate that you’re here. Looking forward to reading all your posts in 2015. I’ve been asking Cat T to contact Frugal Hound for an interview but she keeps sleeping on it (literally!). Maybe when she’s not sleeping or asking for food she’ll get on that idea lol. Frugal Hound would love to interview your cat! Tell her to get her tail in gear ;). Thanks so much for reading! Congratulations on the success of your blog this year! I love reading it and look forward to seeing what 2015 has in store! Cheers! Thank you so much! I appreciate it! Happy New Year to you! Your blog has been a great inspiration to continue the frugal lifestyle (and to let us know we are not the only Frugal Weirdos out there!). I eagerly look forward to your writing in 2015. 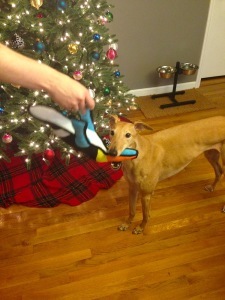 Happy New Year to all of you and to Frugal Hound! Thank you so much! I really appreciate all of your awesome comments–thank you for all of the insight you’ve shared. A huge 2015 toast to our fellow Frugal Weirdos :)! Your writing is excellent and hilarious, and Frugal Hound pictures are splendid! Your “not buying any clothes in 2014” post has inspired me to do the same next year and your lifestyle posts are very motivating. Keep up the good work and happy new year Frugalwoods family! Thank you so much! You are too kind! I’m glad to hear you’re taking the no-clothes-buying challenge. Once I committed myself to it, I found that I was really glad I’d done it. You’ll have to keep me posted on how it goes for you. Yes to Love’s Baby Soft and roll-on glitter! Oh man, I thought I was soooo cool ;). Happy New Year to you too! Thank you for all of the wonderful posts this year. I had to go back and check out several of the ones I missed prior to finding your blog. I really look forward to reading more of your adventures in 2015. Best wishes! I appreciate that you only blog about what you know. Your blog is authentically you (and Mr. FW and a lot of Frugalhound). … well, what I know about you from your writing and the back of your heads. Is that ever weird to stage shots from behind? I’m excited to see what 2015 has in store for the Frugalwoods! Thank you, Kate! And yes, it is weird to stage those shots sometimes :). We got a flexible mini tripod for Christmas from my in-laws and we affixed it to a tree while on our hike last Saturday. We’ve always wanted a photo of the two of us on the trail together, so we were pretty happy to get it! Although my hiking pants look ginormous. Ahh well. You guys had an amazing year! I still can’t wrap my head around the growth you have experienced since I first visited in late June, early July. And that’s just because of all the effort you put in: excellent and engaging articles and generally be a motivating force in our community. I really liked the section on what you guys won’t write about. Lately I’ve been struggling with this myself. I’d love to tell people how to get out of debt, but I actually have no experience with it myself. There are very few things in my life that I feel can educate others, mainly because I take them for granted. Thank you so much, NMW. I really appreciate your kind words. I find that I’m just much more genuine if I write what I know. And, your blog has had a terrific first year too–congrats! Hi Mary! Thank you so much for commenting! I’m so glad to hear that you’re enjoying Frugalwoods–that makes me so very happy! And, way to go on incorporating frugal tactics into your life. You’re not the first person to request recipes and so we’re planning to start sharing them in the new year :). Thank you for reading! 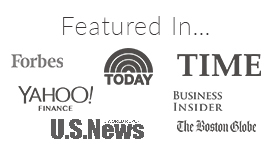 Congrats on your 2014 reader success! It has such a nice mix of hilarity, good advice, anticipation (of the big H) and mysteriousness (no eyeballs in your photos)! I look forward to your articles. I did a little spreadsheet comparison. I put all of Frugalwoods monthly expenditures in a spreadsheet and compared it to mine (omitting mortgage, gas, utils, internet). You guys really buy very few things! Like really. I hit me once I compared my lined items. You can read about it in your articles, but the spreadsheet comparison was truly an eye opener. I’d love to see recipes in 2015. I saw your frugalized groceries article with a food game plan, but it would be cool to see this amazing beans and rice recipe that you can eat forever? $35/week is really low! I do lots of cost per servings for our recipes too to see which ones are the frugalist but tastiest, but I am no where near $35/week. It would be fun to articles on the free things you got to see/do that month (or season) in addition to hiking. Highlight the frugal fun! Thank you so much for reading, Shannon! I’m so glad you’re here :). I totally hear ya on the recipes and, you’ll be glad to know that we actually already started writing down the rice and beans process! Our main delay is that Mr. FW doesn’t cook from recipes most of the time. He just sort of tinkers around in the kitchen and out pops a meal. We’ve started a technique whereby he calls out his ingredients and measurements and I write them down–but it’s still a work in progress because he keeps saying things like “a dollop” or “a few drops” or “you know, enough” instead of actual measurements. We’re working on it though :). Happy New Year to you too! I’m late to join the FW party but congrats on such a great year! Hey welcome to the party! So glad you’re here :)! Poor Seamus! What is it with dogs and barfing in the middle of the night? It’s basically the only time she ever gets sick. Poor baby! But still, wakes up the whole house :). Happy New Year to you too! Eating only one cookie is a real struggle. Seriously. I also had a Lisa and Frank diary, and that brand made up most of my elementary school supplies. =) I know I say it often, but I love what you have here at Frugalwoods. Your mission, philosophy, adorable Frugal Hound pictures, and an awesome sense of humor are all reasons I keep coming back. You both are truly an inspiration and I can’t wait to see what 2015 brings for you! Awww, thank you so much Erin! You’re going to make me tear up! It’s been so wonderful getting to know you (electronically 🙂 ) this year and I really enjoy reading about your story too! I commend FrugalDog for living such a simple lifestyle. Kibble, a few toys and a soft bed and FrugalDog is all set. She is definitely a frugal animal! Her tastes are simple and she’s happy staying with our friends when we go out of town (no expensive boarding for us!). She absolutely requires her soft beds though–fortunately a good friend gifted her a bed, so she has two :). Happy New Year to you, Andrew! I am looking forward to following your journey throughout 2015. I like how you plan on continuing to only write about topics in which you have experience with. With all the progress you have made since April it should be really interesting this time next year to see where frugalwoods is at! First of all – I had Lisa Frank EVERYTHING back in the day! You just brought back some wonderful, awkward memories of my childhood, haha! I can’t wait for what 2015 brings to you! Yay Lisa Frank! Oh how I loved that stuff! Especially the dolphins and unicorns :). Happy 2015, Lisa! I was truly surprised (I am Boomer not a Millenial) when I was decluttering the other week and found a stash of cash I had forgotten I had! Imagine forgetting about 200 bucks because you stashed it away before you moved and put the stash in an out of the way area when you relocated! A stash of cash! That’s a fantastic discovery! I’ve never been much for cash myself. Mr. FW and I rarely have more than $5 in cash between us. I’m way too afraid of losing it! Plus, we prefer to buy everything on credit cards to reap the rewards points. But my grandfather used to hide bars of silver in the walls of his home, which was an interesting strategy to say the least (the only challenge was that he forgot where some of it was hidden, so my uncles had to take down entire walls to find it… ).